Just Romantic Suspense: So…what do we call it? So…what do we call it? Congratulations to "Patricia B. ", the winner in Jacki's giveaway. For the last several months I’ve been working on a new story. In a new series. With new characters. Eventually I finished the manuscript but then faced a troublesome quandary: What to call it. I needed more than a title. I needed a name for this new series, along with branding elements such as a tag line and distinctive covers. I huddled with my team (translation: cover designer and assistant) and we came up with a great concept that I’m thrilled to reveal. Readers of romantic suspense may know me from my Code Breakers series (Regency romantic suspense) or my Grayce Walters series (contemporary romantic suspense set in Seattle). My new series is military romantic suspense—the heroes are SEALs, soldiers and secret agents. Strong, honorable warriors who stand tall and proud until brought to their knees by the women they love. The first book in my brand new Impossible Mission romantic suspense series is Mission: Impossible to Resist. Here’s the cover and the plot. 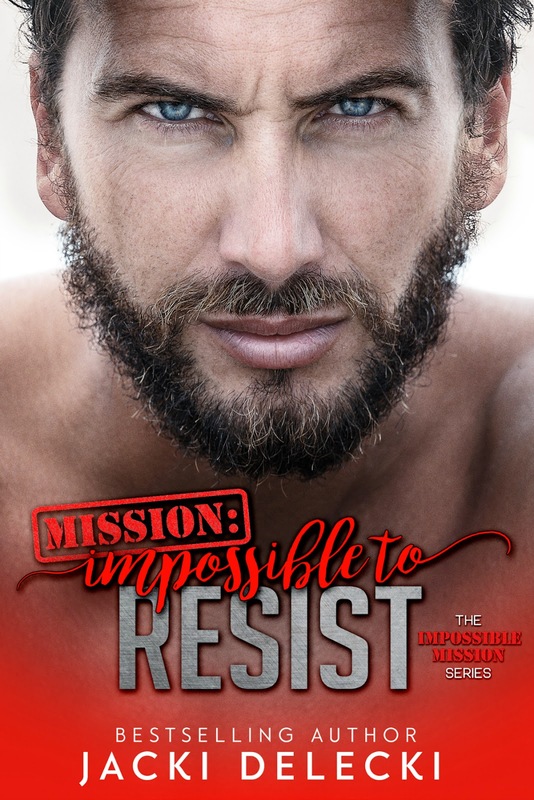 For a chance to win a digital copy of Mission: Impossible to Resist, tell me what hooks your attention most—the military hero, the book blurb or the cover? Mission: Impossible to Resist releases October 18th. Preorder your copy so you don’t miss this brand new military romantic suspense series! Giveaway ends 11:59pm EST September 19th. Due to GDPR regulations you no longer need to submit your email address in the comments. If you have been selected as a winner your name will be posted at the top of the post. You may then contact maureen@justromanticsuspense.com to claim your prize. Your email address will be shared with the author/publicist providing the giveaway. The cover will always snag my attention first because that is what I see first but it's actually the book blurb that finalizes my decision on whether I want to read it. The cover grabs my attention first, but it is the blurb that convinces me to read it! All of the above!! This new series sounds right up my alley.